Centro ASSIST can help with NDIS registration, renewal and compliance so your business can focus on those who need you.  You can use existing content (policies and processes) we have authored for you. With our easy to use online system content is easily accessible for all staff. Providing you with assurance that your employees are doing the right thing. What’s more, our team of NDIS experts are here to assist you. 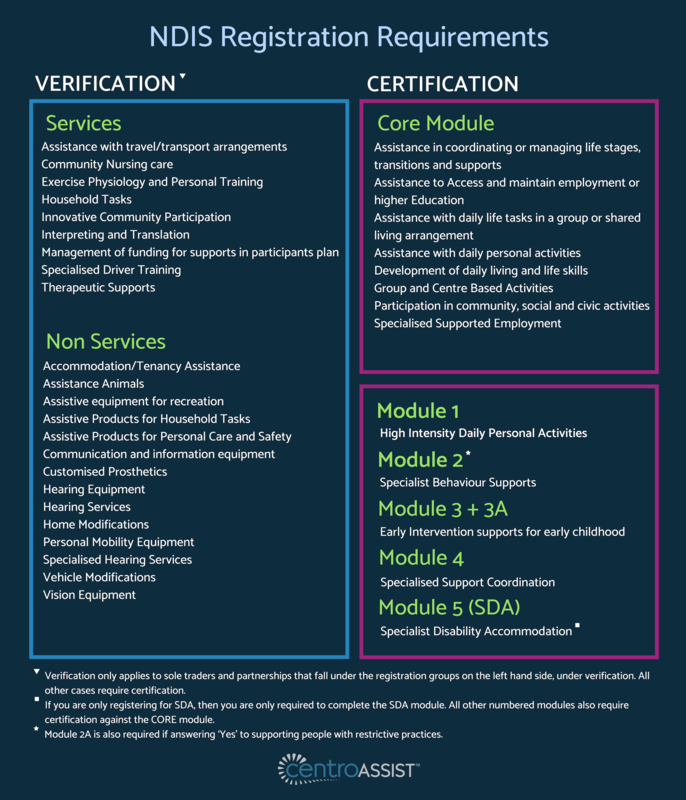 See below our helpful resources to help you through the NDIS journey. Your registration group will determine if you need Verification or Certification and which Modules you need. Simply explained below. 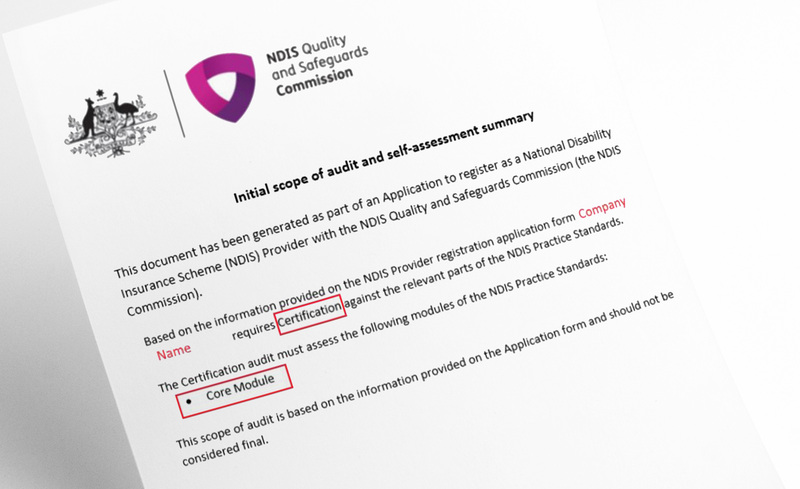 You will receive a letter from the NDIS Quality and Safeguards Commission outlining Verification/Certification and which Modules you will be audited on. The letter will look similar to the one below. The audit process will differ depending on whether you need Vertification or Certification (onsite, offsite audit or both). Two surveillances will be conducted for Verification and Certification. 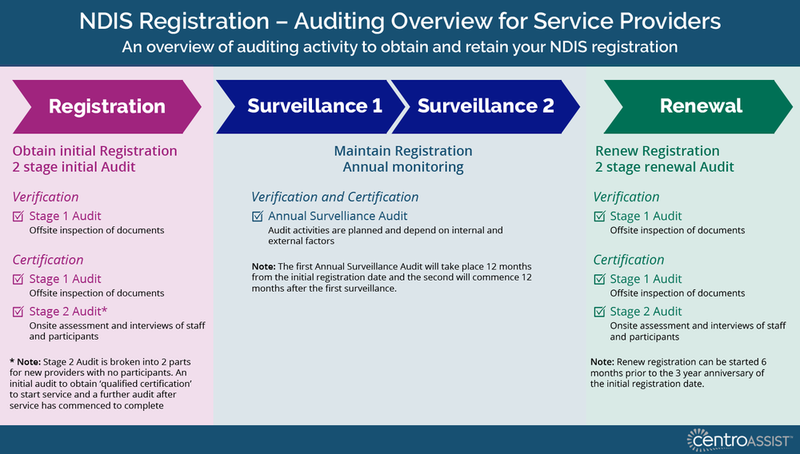 You will also need to renew your registration if you want to continue being an NDIS provider. Explained in more detail below. Access NDIS information, step-by-step registration guides, easy to use look-up tool for NDIS pricing and much more! Meet your compliance needs with ready-made policies and processes that match the Core modules, take the financial pain and stress out of NDIS registration and future audits. Let us do the hard work for you. We will transform your policies and processes to meet the Quality and Safeguarding Framework. You will get an easy to use web-app and more time to focus on your business in the process.